The general purpose saddle BR Rossini is made of European leather. The knee rolls are movable and therefore support a stable leg position and stable seat for every rider. The knee rolls provide the desired support without limiting the freedom of the rider. Comfort is guaranteed with the extra soft seat of the saddle. The saddle features an anatomically shaped, polypropylene saddle tree and is fitted with the BR Swap System. Thanks to this system, the gullet can easily be changed and the saddle can thus be fitted to many horses. The saddle comes with the standard M/W gullet plate. The panels are wool flocked and the billets are made of chrome tanned leather. The saddle has RVS safety stirrup bars, is finished with grey contrast stitching and comes with a luxurious saddle cover. 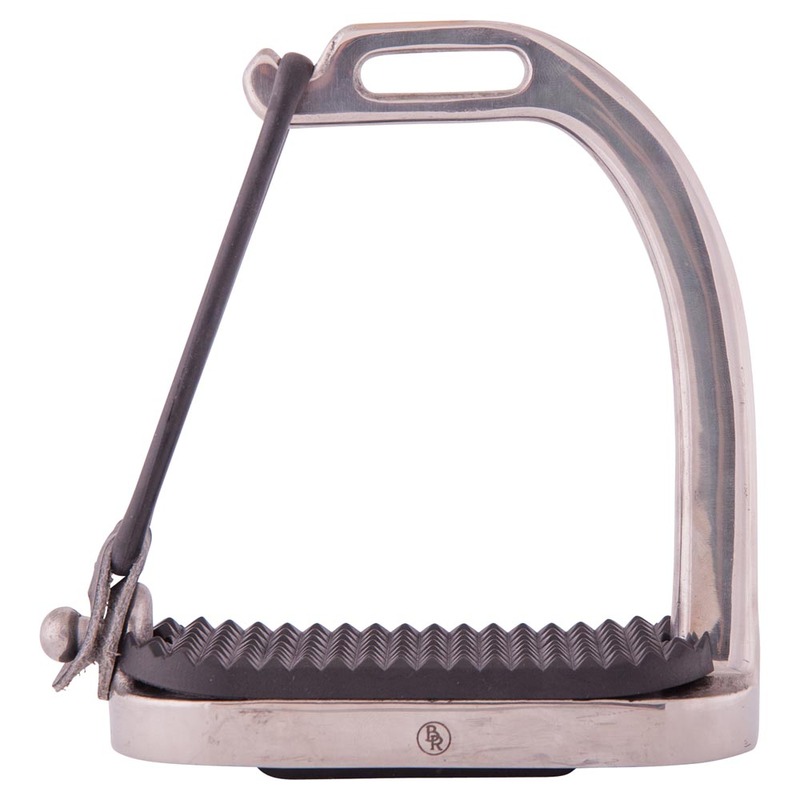 Filles stirrups with rubber bands, stainless steel with black treads. The rubber closure will open during a fall of the rider and as a result the foot will be released from the stirrup. 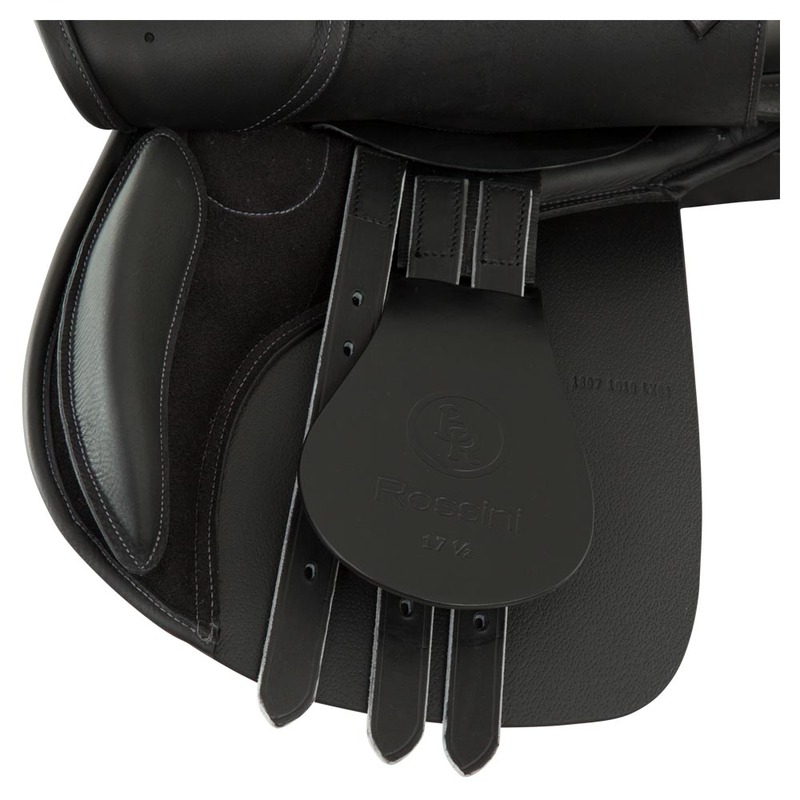 The BR jumping saddle Puccini II is made of vegetable-tanned leather, finished with soft aniline leather. Unlike the Puccini I, this model is equipped with interchangeable knee and calf blocks. 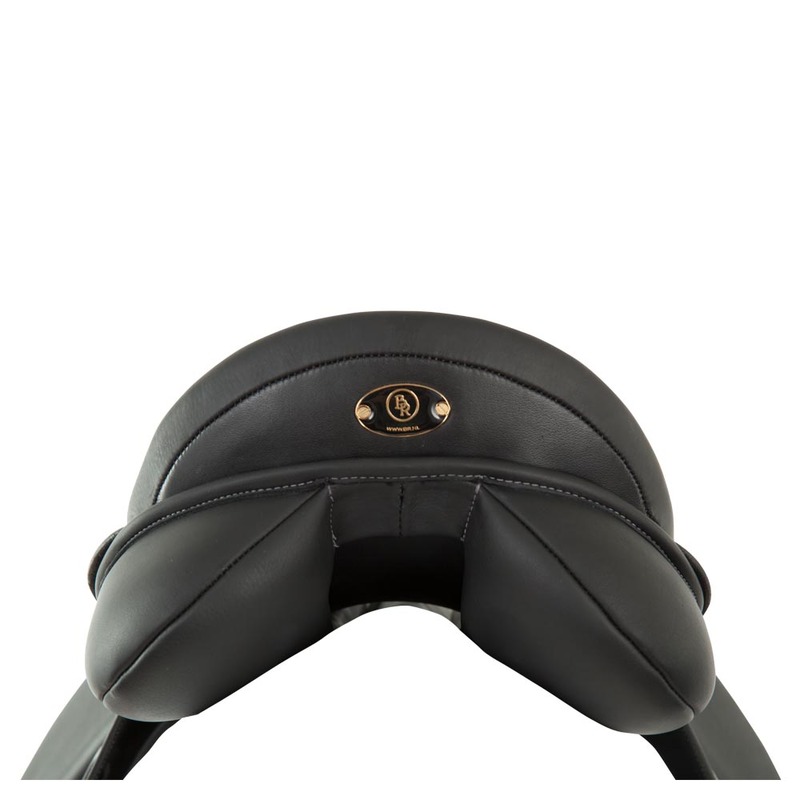 The saddle has close contact panels filled with soft, resilient polyurethane foam to make the rider feel close to the horse. We tried to obtain a good balance point for the rider and in addition, the saddle is built slightly forward to provide optimum support when jumping. Its medium deep seat and generously filled knee pads are covered with extra soft leather to allow for optimum comfort. Small, firm knee and calf blocks ensure a proper position of the rider’s leg and great support. The blocks are detachable through the use of Velcro. The saddle is built on a flexible polythene saddle tree and is fitted with billets made of chrome-tanned latigo leather, which ensure a secure saddle position. The bottom of the flap has been reinforced with leather to prevent wear caused by the stirrup leathers. In addition, parts of the flap edge are padded for a beautiful look. Contrast stitching adds a stylish touch as well. 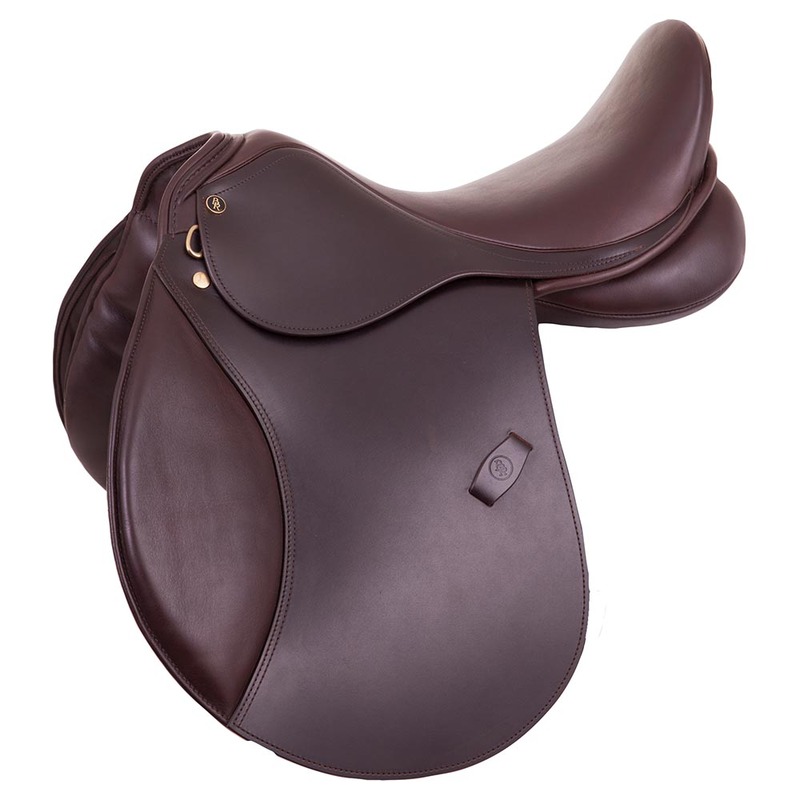 The saddle comes with a luxurious, lined BR saddle cover which has a storage compartment for the girth as well. This gullet bar made of spring steel can be used for the BR pony dressage saddle Torellini, article 101009 and the BR dressage saddle Monteverdi, article 103028. 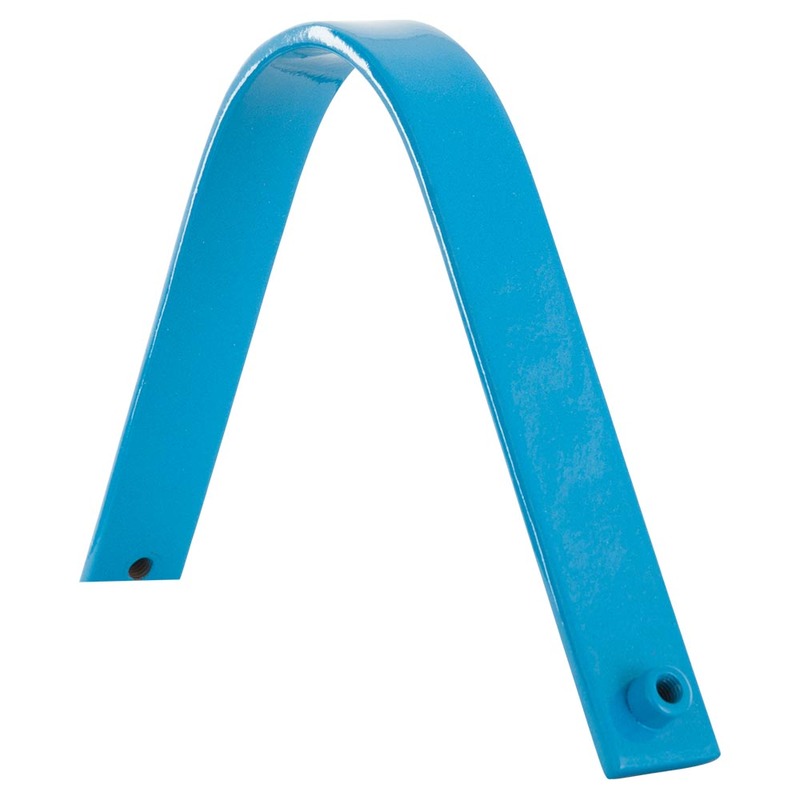 The gullet bar is available in five widths. 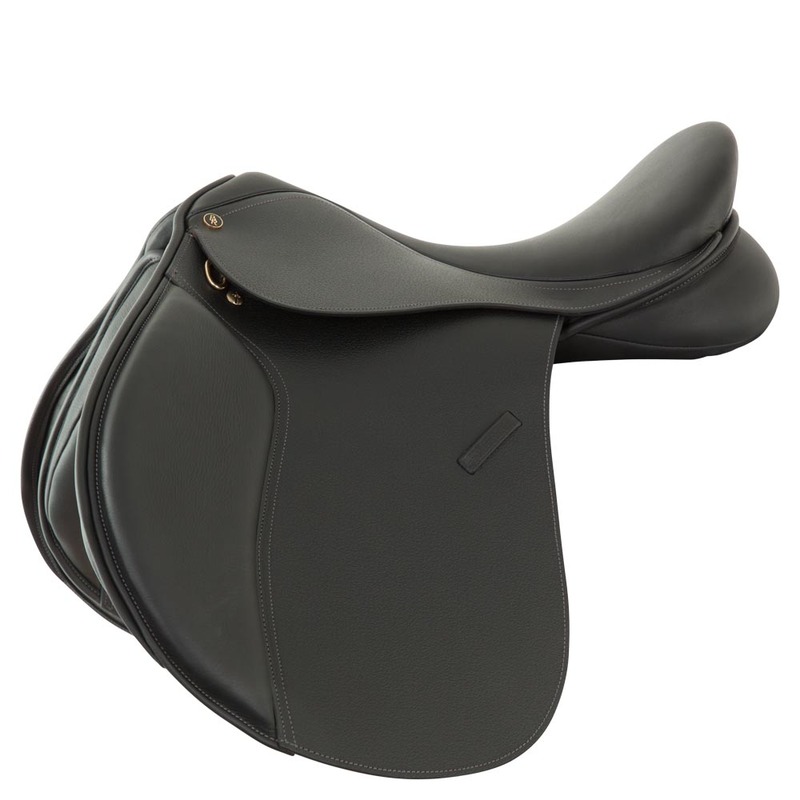 Comfortable general purpose saddle for ponies with an excellent seat and superior fit. The deep seat provides a stable leg position and a balanced seat. The knee rolls provide the desired support without limiting the freedom of the rider. The saddle has been built on a very durable, lightweight, thermoplastic nylon tree with two gullet bars (one at the bottom and one at the top for extra strength). The tree is adjustable by using a pressure machine, no heat needed. 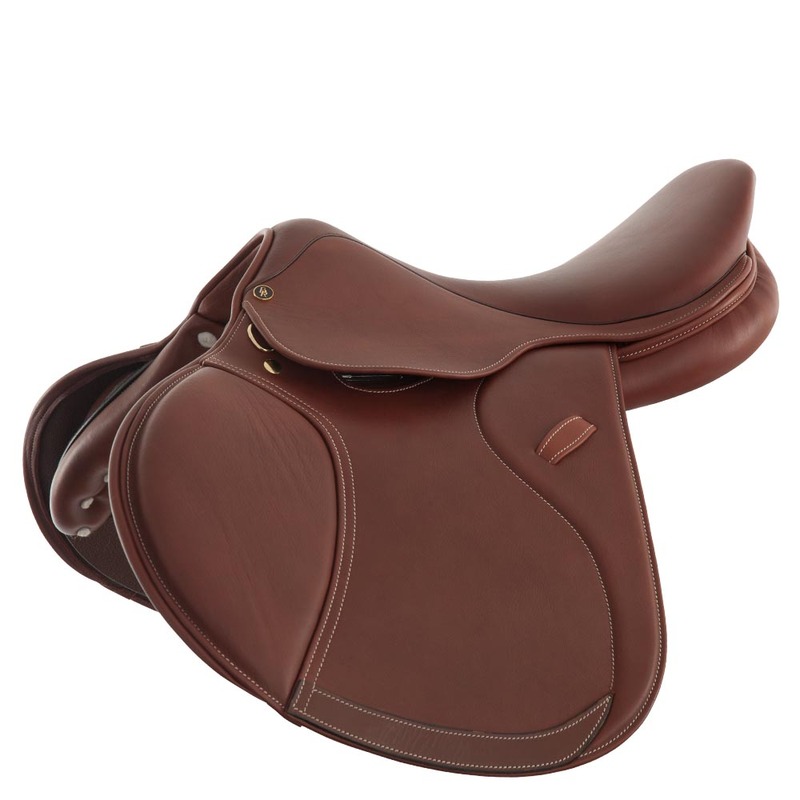 The saddle has been made of first-class English leather with a calf leather seat and soft padded knee pads. The wool filled panels have been formed to fit the characteristic shape of the pony's back. With recessed safety stirrup bars. 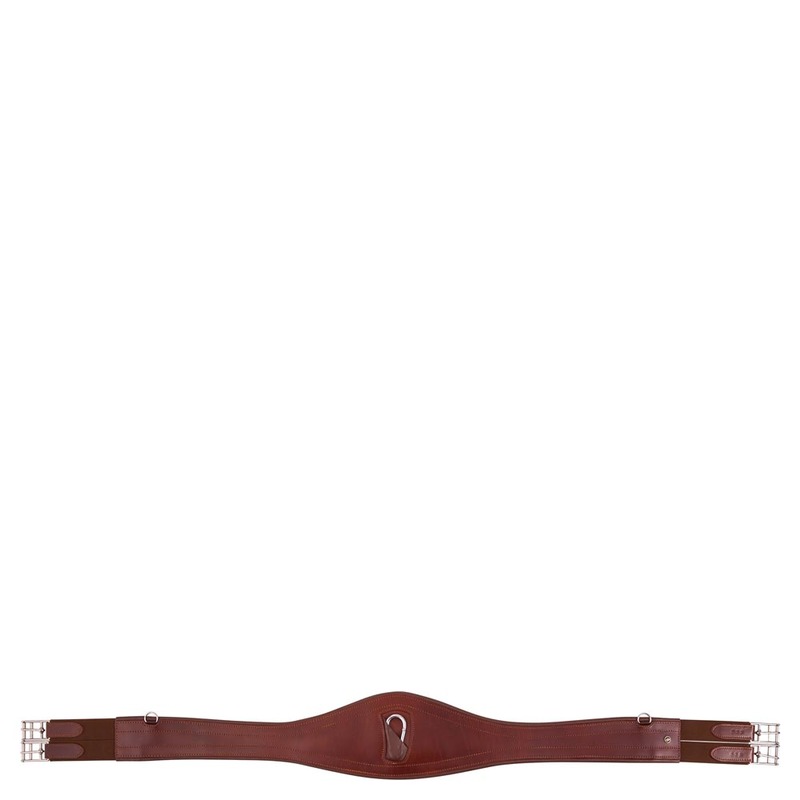 Leather, antomically shaped girth with elastic inserts at both ends ends. The girth has a carabiner and an extra D-ring on both sides for the possible attachment of draw reins. The girth has stainless steel roller buckles.